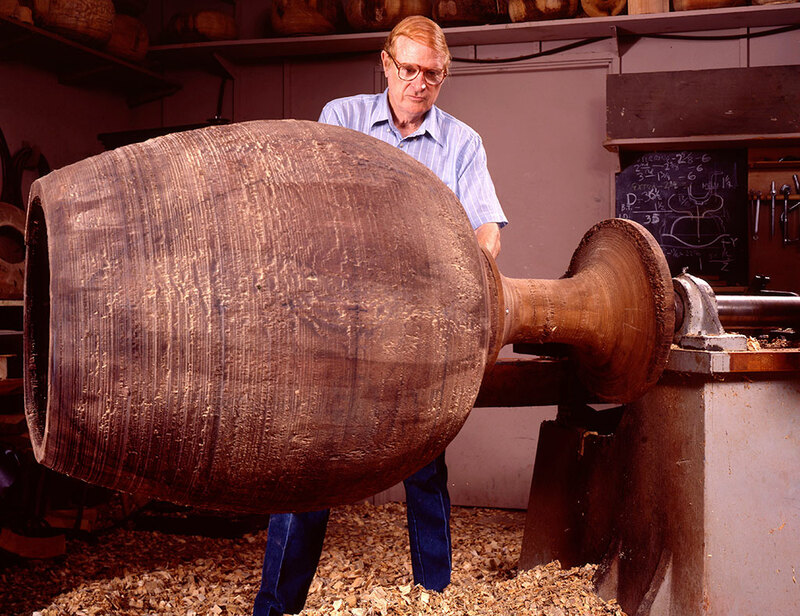 Ed Moulthrop (1916-2003) was a self taught woodturner, known as the father of modern woodturning. 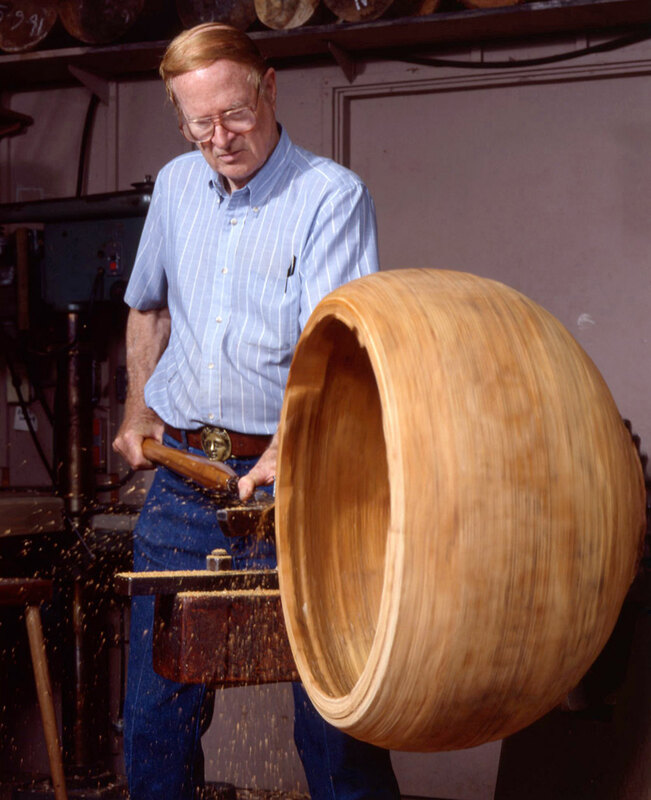 His interest in wood began as a child and he bought his first lathe when he was a teenager. Although he studied to become an architect, wood remained a hobby during his time as an architect. 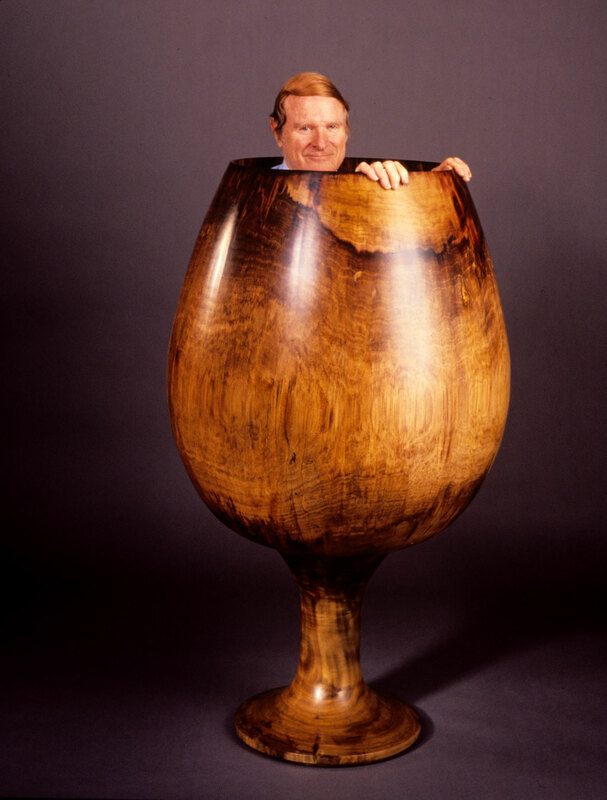 In the 1970s, he resigned from architecture to pursue woodturning professionally. He was most famous for his large scale turned bowls, made from domestic woods, usually spherical or elliptical with polished clear finishes. All of his equipment was designed and built by himself to accommodate the large size of his pieces. He studied architecture at Case Western Reserve University and received his Masters degree from Princeton University. His work is in the collection of the Metropolitan Museum of Art, Museum of Modern Art, Renwick Gallery, White House Collection of American Crafts, and Museum of Arts and Design.